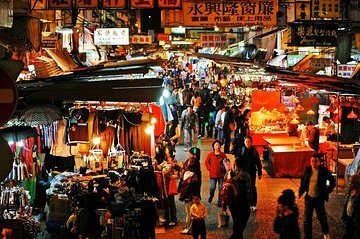 Take a Hong Kong tour with a difference, and sightsee around the city with a local host. With no official tour guide or shared group, this personalized option matches you with a local, based on your interests. A fully customized tour is then created, which takes in the sights you want to see and focuses on the topics that interest you most. Just book online, and you'll be contacted for a pretour chat before the itinerary is set. Numbers are limited to six people. 8 hours with Victor was perfect. We saw the modern part as well as the old part and the lifestyle from the local people. The young man Victor I can really recommend. We had Victor as our tour guide, he was excellent, very knowledgeable, perfect English speaker, flexible with our schedule and places we wanted to visit , in overall was great. I highly recommend this tour and Victor . We had a fantastic time with Jacky. He was extremely knowledgeable and pleasant guide and showed us many interesting places around Hong Kong, both touristy and off the beaten path. He really took the time to give a lot of background about the city. Highly recommended tour and tour guide! I would totally recommend it to any first time visitors....like ourselves....that just had a few ideas and didnt want to stress on a day....and be totally taken care of.